How to Activate Dark Mode in Facebook Messenger? Many Android Users can’t activate the Dark Mode of Facebook on their Messenger App. 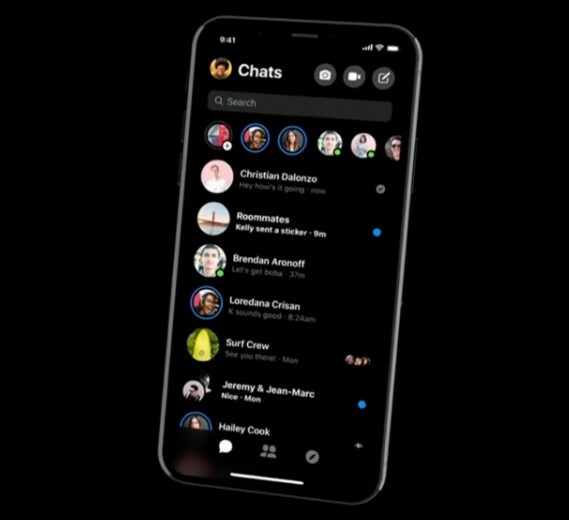 Basically, Dark mode is working on Messenger App, and it’s a true OLED black theme. The user can activate this feature by two different methods. The First method is Emoji which works on both Android and Apple. So, firstly try via Moon Emoji method. If the system doesn’t work, try the second method. Dark Mood of Facebook is currently cab Activate on Facebook Messenger. Both Android and Apple Devices allow installing (enable) the Dark mode of Messenger. Most users are able to trigger it if they keep trying, but its possible Facebook hasn’t turned the feature on for your account. The System will work confirm. So, it may take a longer time to activate. If you can’t activate (enable) the Dark Mode with the system, we recommend you to restart the App and follow the same process again. This is so simple it’s silly. To enable dark mode, send someone a moon emoji. It will available on the left-facing crescent moon icon as seen below. A crescent moon is shown in yellow on most of the platforms like Google, Apple, Facebook, Microsoft, Samsung, Twitter, WhatsApp and more. Facebook Messenger users can use this emoji to activate the dark mode. As of the last update of March 2019, send this emoji to any friend via Messenger and the dark mode setting will be enabled. Crescent Moon has approved as part of Unicode 6.0 in 2010 and then added to Emoji 1.0 in the last of 2015.